Natural joint pain supplement, Litozin+, is on the search to find the most showstopping dance routine for the chance to win £1,000, as part of their ‘Hip Hop Dance Moves’ competition. To join in the fun, all people have to do is film their dance moves and post their videos on the Litozin+ Hip Hop Dance Moves Facebook page. 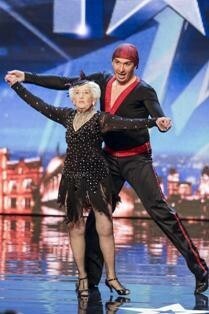 Inspired by the vivacious octogenarian, Paddy Jones, star of this year’s Britain’s Got Talent, Litozin+ is specifically interested in seeing more mature people having a twirl to promote the benefits that keeping active can have on helping to ease joint stiffness. The videos are then open to the public to vote on and decide who deserves to win the £1,000. Being active and mobile enough to enjoy dancing relies on maintaining good mobility and staying pain free. Litozin+ supplements have been clinically proven to reduce the discomfort of joint pain, with no known side effects, and therefore increase mobility by taking just three capsules or one Litozin+ sachet a day. “A healthy, active lifestyle is the best way to keep joints happy and maintain mobility in later life. Coupled with taking Litozin+ supplements, dancing is a great way for people to manage joint pain and keep agile, and we are thrilled to be launching this competition. We can’t wait to see the videos of people giving it a go and having fun. After all, life is for living. Videos can be posted to the Litozin+ Facebook page – www.facebook.com/LitozinHipHopDanceMoves – or emailed to litozin+@pmwcom.co.uk. Litozin+ retails at £19.99 for 90 capsule version and £29.99 for 30 drink sachets. Litozin+ is available from Holland & Barrett and Amazon.